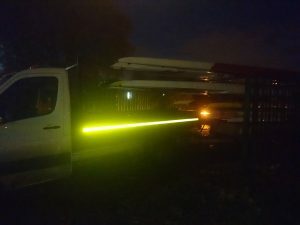 Welcome to the website of Glasgow Rowing Club. We are a small friendly club located on the south bank of the River Clyde in Glasgow. 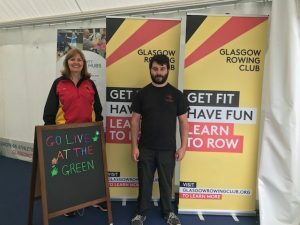 Since the club was founded in 1983 it has flourished into one of the most successful rowing clubs in Scotland, we specialise in taking complete beginners and transforming them in to international rowers, but also catering for everyone in between. 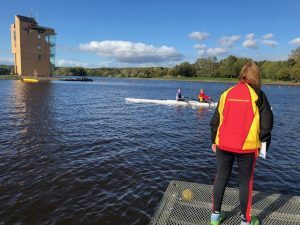 The Glasgow Rowing Club Fours Head will be held on the 24th of November on the River Clyde, Glasgow. Please note the online entry system will be accepting entries for this event on October 18. Fun and Games at the Green with Go Live! This week club members have been taking part in Go Live! at the Green. 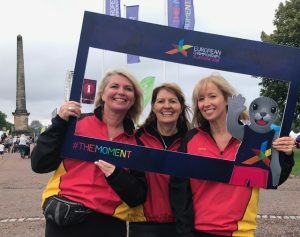 The fun family event is celebrating Glasgow playing host to the European Games and is giving everyone the chance to take part in various sports. 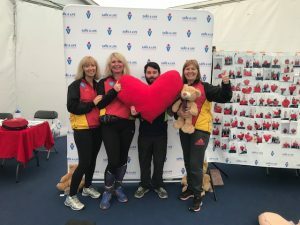 Go Live is on at Glasgow Green until August 11, 2018. 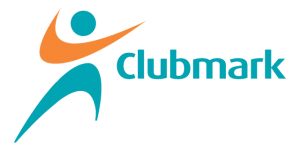 Our club members are delighted to receive the Club Mark award from Glasgow Sport. 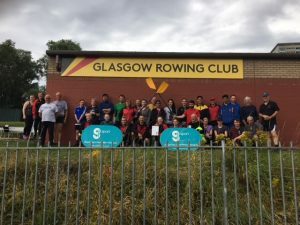 This award recognises Glasgow Rowing Club as a well organised, inclusive and friendly place to take part in sport. 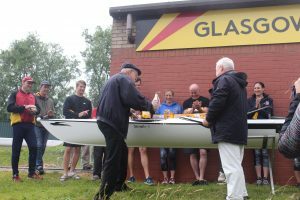 We welcomed Boyd Tunnock to the club today to name our new boat, bought thanks to the kind donation from the Tunnock’s owner. 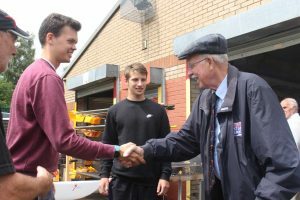 Boyd spent time chatting to club members congratulating Calum Young and Ronan Welch, winners of last weekend’s Scottish National championships, before naming our boat, Snowball. 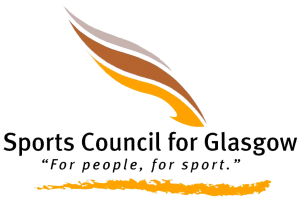 It is with great regret that we will have to cancel this year’s GRC Summer regatta. Thank you so much for your interest in this event and the support received. 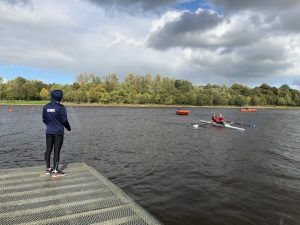 Unfortunately the number of entries was very low this year and would have resulted in a large number of cancellations and limited racing for those left. 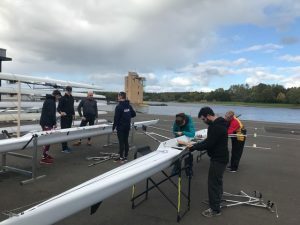 We are intending on having a we club regatta with scratch crews (a bit of fun) along with a barbecue and boat naming ceremony so if anyone fancies coming along for a bit of fun on a Saturday lunch time, you will be more than welcome. I’ll give more details when we know them. 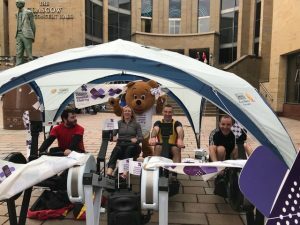 The team from Glasgow Rowing Club took part in a charity ergathon on Buchanan Street on Saturday April 7 to raise funds for the Glasgow Children’s Hospital Charity. 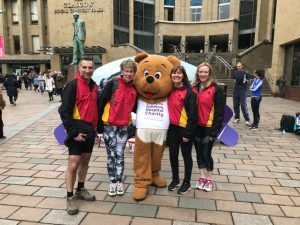 Rachel, Liam, Naomi, Fiona, Ann, Jackie, Paul and Pete all took part to help this great cause. The guys had great fun watching shoppers pass by whilst putting in some training and Paul Ingram even managed a personal best. Well done team!! 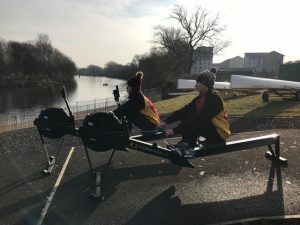 Club members are enjoying training on two brand new Concept 2 rowing machines thanks to help from the Sports Council for Glasgow. 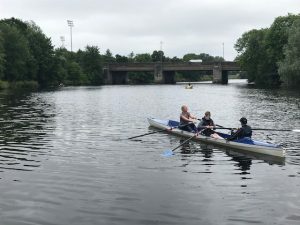 The club was awarded a grant that helped buy one of the much needed ergs. 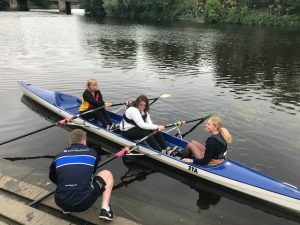 Not only are they essential for improving fitness and stamina but they are helping our new ‘learn to row’ members improve their technique. 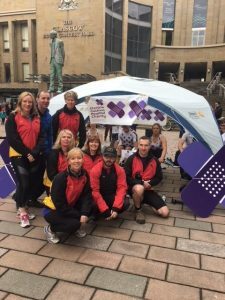 A big thank you again to the Sports Council for Glasgow – they are greatly appreciated.